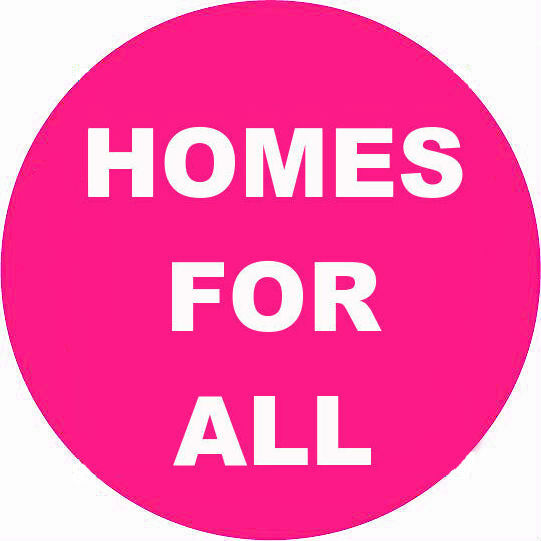 On Sunday 13 March 2016, thousands of people from across the country will march on Parliament to oppose the Government’s Housing and Planning Bill and demand: secure homes for all, rent controls, and homes for people not for profit. Campaigners say the Bill, which is currently in the House of Lords, threatens to make the UK’s housing crisis much worse, send rent and house prices soaring and spells the end of council and social housing. PHOTO OPPORTUNITY: The march will assemble at Lincoln’s Inn Fields at midday Sunday 13 March 2016. Jeremy Corbyn, John McDonnell and celebrities plan to address the crowds in Parliament Square. 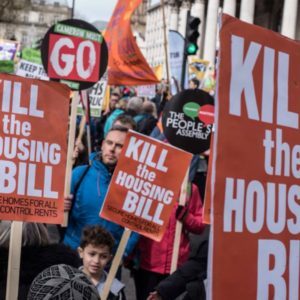 The national demonstration is organised by the Kill the Housing Bill campaign and will be attended by council tenants, home owners, private renters, architects, students, migrants groups, women’s campaigns, trade unionists and many more. It is supported by a wide range of MPs, Lords and celebrities. “People are desperate for a stable and decent home they can actually afford to live in but the Tories Housing Bill will make the housing crisis drastically worse. 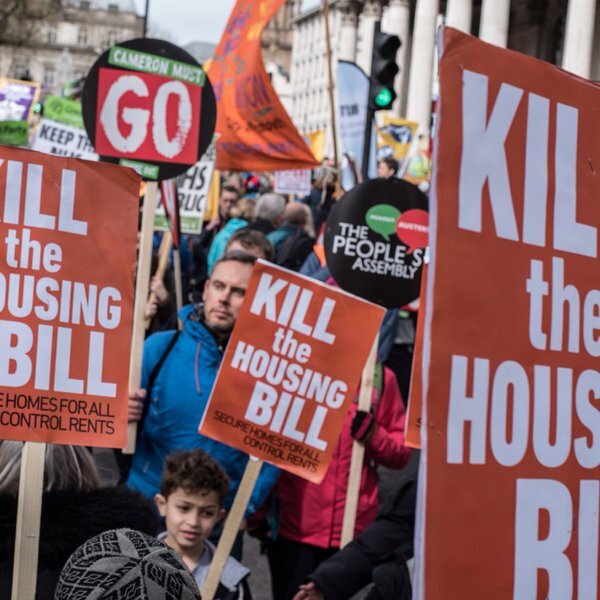 Labour is opposing it in Parliament but I’m also opposing it outside Parliament by supporting the Kill the Housing Bill demonstration on the 13th March. Millions of people across the country are struggling to afford to rent or buy a home but the Government is callous in its disregard for people’s right to secure themselves the right to a decent home. 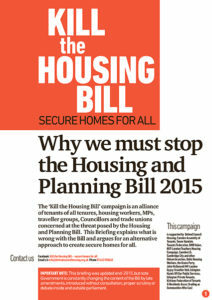 This bill demonstrates the worst attack on social housing provision seen in decades. It will result in more genuinely affordable social housing units being sold off which is scandalous when we have such a severe housing crisis on our hands. Under this Tory Government homelessness is already sharply on the rise and thousands are being socially cleansed from our cities”. ● Forces local authorities to sell ‘high value’ properties on the private market when they become empty – the biggest council housing sell-off in generations. ● Abolishes new secure lifetime tenancies in council housing, replacing them with 2 – 5 year tenancies. ● Hits social tenants with a combined income of £30,000 (£40,000 in London) or more with a ‘pay to stay’ tax, to bring their rent up to market levels – an up to 400% increase. ● Does nothing to address the housing crisis, and instead replaces obligations to build social housing with Cameron’s unaffordable ‘starter homes’ – requiring an annual income of £70,000 in London. ● The march will assemble at Lincoln’s Inn Fields, WC2A 3TL at 12 noon on Sunday 13 March. The route of the demo is via Aldwych, the Strand, crossing over the river to the South bank, and returning over Westminster Bridge to Parliament. The march will end with a rally in Parliament Square at 2pm. ● The march will be joined by a number of politicians and celebrities. Speakers who plan to attend (although tbc) include Jeremy Corbyn, John McDonnell, Caroline Lucas, Natalie Bennett and celebrities. ● The Kill the Housing Bill campaign is supported by Defend Council Housing, Radical Housing Network, Focus E15 campaign, Momentum, People’s Assembly, GMB Union, National Union of Teachers (NUT), Communication Workers Union (CWU), Bakers Union, Unite Housing Workers, London Gypsy Traveller Unit, National Bargee Travellers Association, Leeds Hands Off Our Homes, The Green Party, John McDonnell MP and many more. ● Spokespeople from the campaign and people in housing crisis or who will be directly affected by the Bill are available to interview.